Ramesh Boyapati bagged complete theatrical Germany rights of Power Star Pawan Kalyan’s PANJAA which is slotted for Dec 9th release. 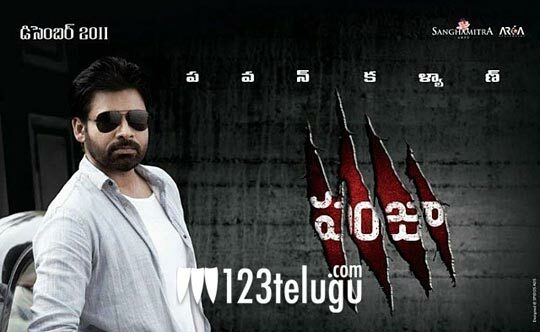 Panjaa is a stylish powerful entertainer as Pawan Kalyan in leading role followed by Sarah Jane, Anjali Lavania, Adivi Sesh, Jackie Shroff, Atul Kulakarni Brahmanadmam, Ali, Subbaraju, Jhansi, Tanikella Bharani and Paruchuri Venkateswararao. This movie is getting shaped up well under the direction of Vishnu Vardhan who is expert in making stylish films. Recently released trailers and audio composed by Yuvan Shankar Raja got tremendous response and many more surprises to come. I am really excited to be part of this prestigious project and our sincere thanks to LEO ENTERTAINMENT for giving this opportunity and their extended support.